​I enjoyed this book tremendously. Verrier has a way of recounting the history of a land, detail by painstaking detail, and tying it to the life story of his subject, Gene Kiniski. He paints a rich portrait of Kiniski’s life and career. Verrier lays out the groundwork for his biography with a history of the province of Alberta, Canada. He details the patterns of immigration into Alberta, particularly Polish immigration. This is all highly-detailed and informative. I learned a lot from reading it. 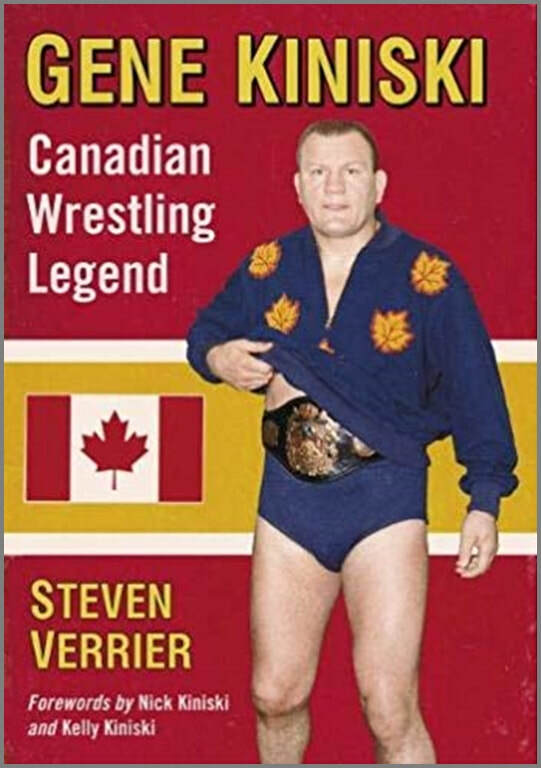 Verrier then goes into the life and career of Gene Kiniski, who wrestled in many locations in the United States, Canada and Japan before centering his activity to the Pacific Northwest, where he owned a share of the Parker-Fenton promotion in Vancouver. He won several titles—predominantly tag team titles—and was featured in high-profile matches against prominent champions such as Lou Thesz, Buddy Rogers and Bruno Sammartino. He would go on to win the NWA world title from Thesz in 1966 and hold it for three years. The work also goes into Kiniski’s personal life. It touches on the loss of his wife and his time as a single father. It also covers the long-term friendships he had with several of his fellow wrestlers, including Fritz Von Erich and Lord Blears. As a side note, Verrier recounts the political activity of Kiniski’s mother Julia Kiniski, who was elected to the Edmonton City Council. She had strong opinions on politics and was not afraid to express them. She was a champion of the working class of Edmonton. In total, Verrier brings the life of Gene Kiniski to the reader in stunning detail. I wasn’t familiar with Kiniski before I started reading it, but now I can appreciate his legacy. Review of Gene Kiniski: Canadian Wrestling Legend - Digital Edition. Gene Kiniski: Canadian Wrestling Legend. Published as Paperback: December 19, 2018. Published on Kindle: December 31, 2018.